It is much easier to hold on to a job that brings in a considerable salary than to take the plunge to allow your creativity and your passion to be your guiding light. 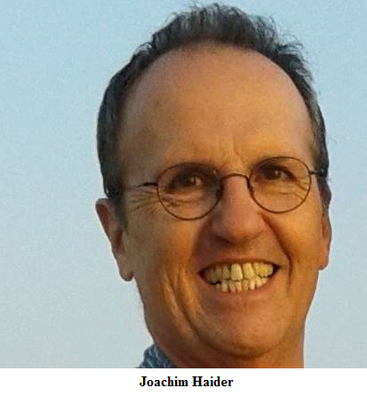 Joachim Haider is originally from Germany (but holds a PIO card at present) who came to India in 2006 after answering an advertisement to be a branch manager at an architectural company in Goa. 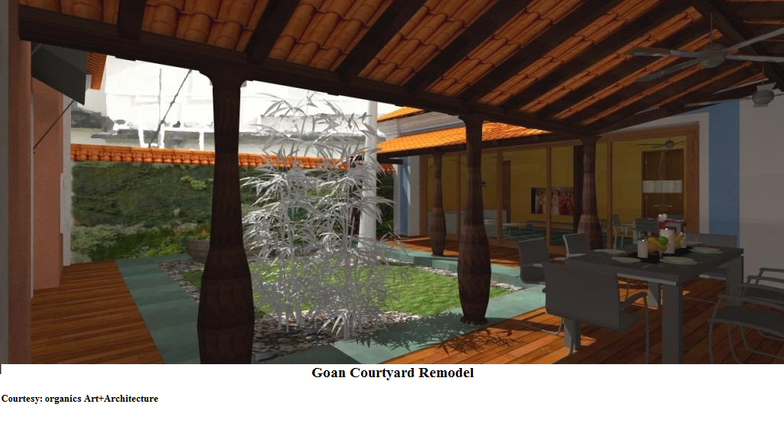 After spending sixteen years in architectural work in Berlin, Germany, Joachim spent another five years and two months employed in the same field here in Goa. Twenty one years of stifling one’s creative potential is bound to push an individual to the threshold of adhering to conventionalism. Joachim had a moment of enlightenment when he found himself stranded in Doha for around thirty five hours in a hotel room. He had just lost his father to cancer and his thoughts went to the time his father had asked not to be force fed as his cancer was terminal. Remembering his father fondly and calling him a remarkable man, Joachim says, ‘I did not expect it of him.’ When his father had been diagnosed he was told he had half a year to live. Soon, at his father’s funeral, Joachim learned that his sister had been diagnosed with cancer as well. These musings brought to mind the question, ‘What would you do if you had only half a year?’ And that was the start of turning his life around in a different direction. ‘In the company I was working for, the income was ok but there was no scope for creativity. I was branch manager which means administration, controlling… All these things are required in a way but the artist in me was suffocating, drying up… So I quit my job.’ Joachim made a firm decision to channel his creativity in the best way possible and deliver to his clients the spiritual aspect of architecture. This was the beginning of his company, organics Art+Architecture, in the year 2011. There are sketch books piled a mile high that are testament to his enthusiasm and the unleashing of his imagination from the initial days of this new venture. Now when a person hears or reads the word ‘organic’ they are bound to presume it has something to do with saving the environment. Joachim explains that it has more to do with the structure relating to the people within it in a spiritual sense. For this purpose, architecture that best suits the environment, climate, etc, of the region is the obvious choice. The brand name chosen is more to create an awareness among the clientele about what they should expect and it is definitely not your run-of-the-mill architecture. The team of organics Arts + Architecture consists of Najmussahar Peerzade, the managing director; Sadhana Kembhave, who sees to the business development; architect Brijith Bhasi and head designer Joachim Haider. They have architectural designs for residential and commercial structures as well as for constructions that would encompass the businesses of hospitality and wellness. These designs come alive vibrantly with ABIS software which Joachim calls ‘an architect’s best friend’. Organic architecture is based on the idea that the material structure is designed to bear forth a consciousness of 'what is happening' which is then expressed through shape and form. For instance, a column designed this way will show how the load is collected on top, borne across the shaft and brought down to the base. Every classical column follows this principle and organic architecture does the same in a contemporary way, which it is able to convey to individuals. The architecture must, therefore, give the inhabitants a sense of security and comfort, inviting them into its confines on a physical level and on a spiritual level. It is the absence of this quality in modern architecture that Joachim criticises. The dull, monotonous, beige constructions with equally unvarying interiors that are so prevalent in Europe and are catching on in India too, meet with his disdain. Joachim is all praise for Indo-Portuguese architecture because it is harmonious with the surroundings and the climate of Goa. Besides, these are brilliantly arrayed with decorative tiles (azulejos), mosaics and have vivid colouring. The designs are aesthetically created and this lends the edifices a character that is uniquely their own. Well into its fourth year, organic Arts + Architecture has ambitious plans and much work is being done to market the company that promises designs with ‘a premium feel at a slight premium fee’.